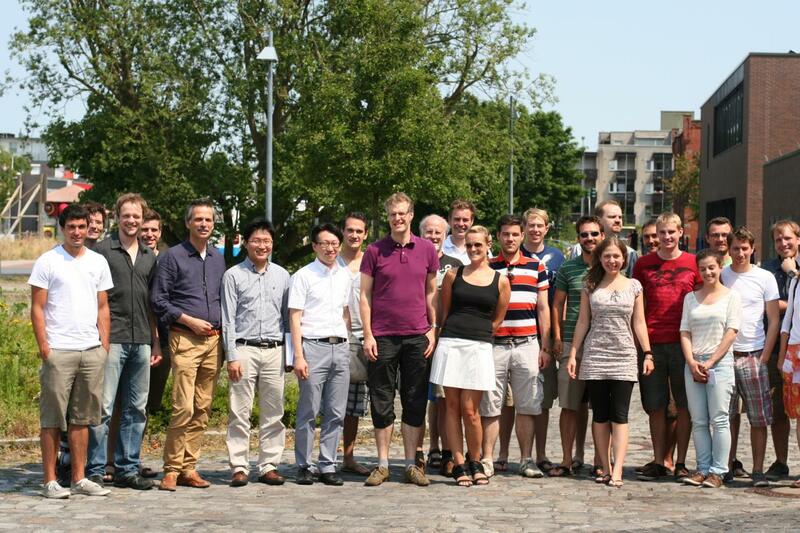 On 23rd of July, Prof. Minseok Song and Prof. Wooje Cho presented some of their research at the Lunchtime Seminar at the University of Muenster. Prof. Song gave a presentation on "Process Mining: Concept and Applications". Abstract: Process mining aims at deriving useful information from event logs. Process mining techniques are getting more interest among researcher and practitioners, and there are many case studies have been reported to show the applicability of process mining in many fields. Moreover, a wide range of techniques are developed to handle workflow process models from real-life process logs. In this talk, we are going to explain recent research works in process mining. To give practical insights, real life case studies in Korea will be explained. Prof. Cho presented his recent work on "The Burden of Proof in Electronic Commerce Security Breaches and the Optimal Security Investment of Firms". Abstract: This study investigates the consequences of two alternative legal systems on e-commerce security in terms of the burden of proof. The paper analyzes corollaries of the two alternative e-commerce regulations by comparing the profits of e-commerce firms and their optimal levels of investment in security. We find, based on our analytical models, that in a market in which the efficiency of the security investment is high, a legal framework that imposes the burden of proof on the firm enables firms to achieve higher profits than a legal framework that places the onus on the customer in equilibrium. In addition, we find that, depending on the range in efficiency of security investments of a market, the e-commerce law that imposes the burden of proof on the firm can lead firms to be more profitable, even when the firms invest less in security in equilibrium, compared with firms under the law that imposes the burden of proof on the customer. Both topics are of interest for the future development of the research ties between WWU and UNIST. In addition, Dr. Thomas Kohlborn from Queensland University of Technology (QUT) in Brisbane attanded the presentations, further establishing the research opportunities developed in the NSS project.